As much as I love the Czech Republic, I also love Slovakia. Slovakia is especially notable for its mountains, especially the high Tatra mountains. The low Tatra are also insanely beautiful. Slovakia may possibly be the best destination for outdoor adventure in Europe. Slovakia was always sort of the junior partner in Czechoslovakia. For much of Slovak history, what is now Slovakia was part of Hungary. The Hungarian kings were crowned in Bratislava. The Czechs were part of the German-dominated Holy Roman Empire. When the Czechoslovakia was founded in 1918, the Czechs leaders needed the fellow Slavic Slovaks to help outnumber the Germans in the country. Slovakia and the Czech lands had not been united for over 1000 years, but this idea made sense for the politics and so it was advanced by men like Tomas Masaryk, who is regarded as the father of Czechoslovakia. After 75 years of being the junior partner, the Slovaks had enough and demanded independence. So in 1993, they had what became known as the Velvet Divorce. The country split into the Czech Republic and an independent Slovak Republic. The first few years of independence were bumpy for the Slovaks, but things have settled out now and the country is doing well. Slovakia is part of the European Union and has adopted the Euro as their currency. Getting there is probably the hardest part for an American. Airline service to Slovakia is limited, sort of. Bratislava has the largest airport, but the main carrier with service to Bratislava is Ryanair. This is not a problem though. Bratislava is almost a suburb of Vienna, a short train trip of about an hour from Vienna will get you to Bratislava. There are also rental cars available in Vienna. Otherwise, if you're already in Europe, Ryanair is super cheap and of course the train is always a great option. 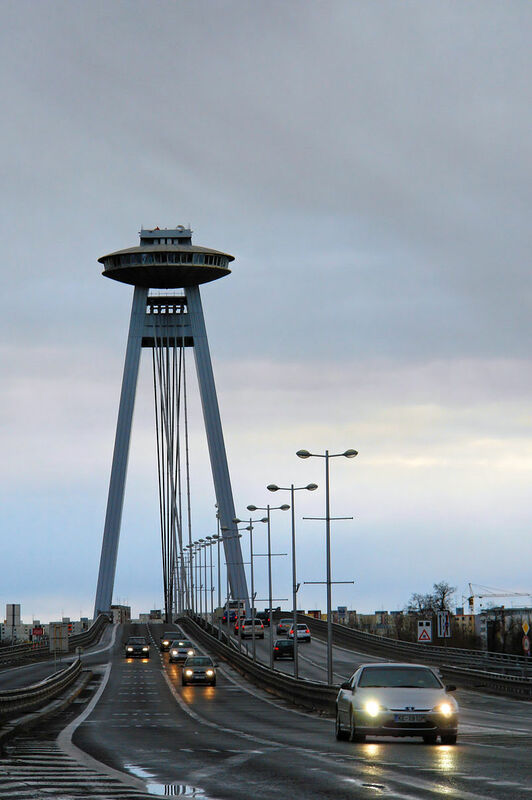 Usually the easiest place for an American tourist to reach, Bratislava is almost a suburb of Vienna. The Danube flows through the heart of the city. The Old Town has many building still preserved. The Old Town Hall houses the museum of the city which is pretty cool. The St. Michael's gate remains from the old city's fortifications. This area has many of the high-end shopping in the city. In the tower is an armaments museum. The Cathedral of St. Martin, is important because it served as the coronation church for the kings of Hungary. This is important as the Hungarian kids were not viewed as legitimate until they had been crowned with the Crown of St. Stephen (I will post more on this when I do Budapest). The tower is particularly beautiful and used to be part of the city walls. The Cathedral is next to the access ramp for the SNP or New Bridge (Nový Most) which is at least interesting to look at. At the top is a restaurant, but I have never tried it so I can not comment on the quality. 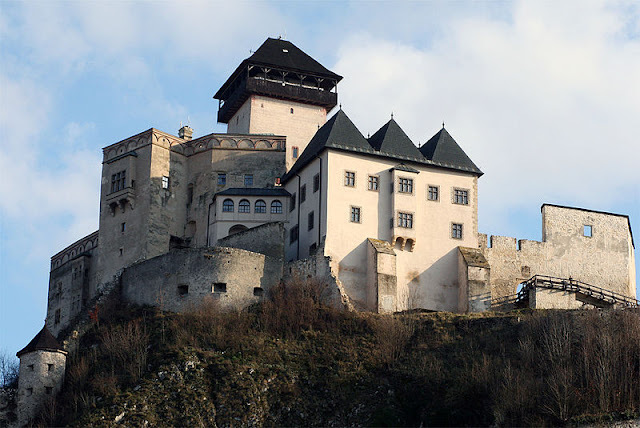 Bratislava Castle is on a hill overlooking the city, with a great view, particularly at night. I have not visited since the reconstruction started, so I do not know how that's been going. Just remember with Bratislava, it is fairly expensive, being so close to Vienna. This is one of my favorite places in Slovakia. The castle above the town is particularly beautiful. The site has been occupied since Roman times. Roman legionaries actually made an inscription in the rock below the castle you can visit. This town is the gateway to the Slovak mountains. The low Tatry, the Fatry, and the Kremnica Mountains are all easily reachable from the town. If you want to hike and see beautiful natural areas, this is a good place to use as a base. The square is beautiful, with a Plague tower and also a black obelisk dedicated to the Soviet troops who liberated the city from the Nazis. There is also a small castle in the city, just off the main square. There are some nice bed and breakfasts on the square, an it isn't insanely expensive. The city itself isn't particularly inspiring, but the location is great. Budatin Castle is located just off the main square, which has some pretty churches. The region however, is another gateway to mountains. There are also a lot of cool castles in the area. My favorite is Čachtice castle. This ruin was owned by the infamous Elizabeth Bathory, the Blood Countess. Perhaps the most prolific female serial killer in history. By legend, she believed that if she bathed in the blood of a virgin, she would remain forever young. Of course, there is very little reliable history and a whole lot of myth surrounding her. She was imprisoned in one of the towers, it was bricked up behind her with a small window where she could receive food until she died. The castle was also the setting for one of the first vampire films, Nosferatu. This area is just simply incredible. The mountains straddle the border with Poland. The Tatra are a subrange of the Carpathian Mountains. 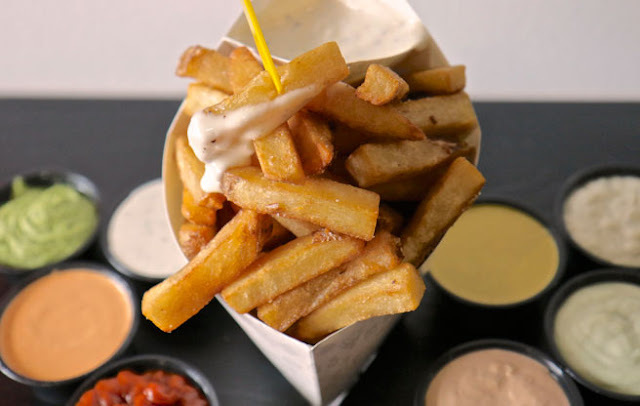 They are simply stunning. The Town of High Tatras (Vysoke Tatry) is really 3 towns that serves as the Slovak center of the area. Just across the border is Zakopane, which is a great option for visiting the mountains. Summer activities include hiking and river rafting, and in the winter, it is a major ski area. Poprad, while not in the mountains proper is not far and a good base. 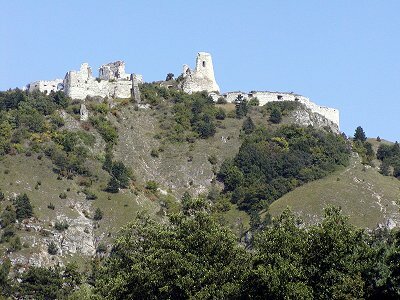 East of Poprad, is one of the largest castle ruins in Central Europe, Spis Castle. So, Slovakia is beautiful. If you like mountains, this is the place to go. It's similar to the Alps and Switzerland, but a fraction of the cost.